In our classrooms, we often discuss the challenge of defining categories like religion or the sacred. While those questions sometimes appear quite abstract, separated from the issues that intersect with daily life, the relevance of such analyses can be particularly relevant. An NPR story last night on Daystar, a “religious TV network”, focused on questions of categories and their practical implications. In short, since Daystar classifies itself as a church, a classification that the IRS accepts, the TV network does not have to report its finances publicly or account for how it spends the donations, reportedly averaging $35 million annually, in the ways that non-church non-profit organizations must. So, being classified as a church has significant advantages. The NPR report highlighted IRS policies concerning the determination of what is a church (its 14-point test) and the way that current policy (since 2009) makes review of that status virtually impossible. Then, the report on NPR employed its own definition, asserting “Daystar does not resemble a church in any traditional sense.” To support this statement, the report focused on the absence of a “gathering of believers,” sermons, Wednesday night meetings, baptisms, communion, and marriages, among other traits. While the IRS regulations apply well beyond institutions that identify as Christian, these criteria that NPR highlighted reflect a particularly Protestant conception of Christianity. Of course, that should not be too surprising, considering the significance of Protestant assumptions on the definition of religion, even within many academic studies. Beyond the question of what constitutes a church, the questions that we ask in our work becomes relevant considering the special status that society grants to things that people label “religious” or “sacred”. In arguing for the lack of regulation of churches, David Middlebrook, a lawyer who represents a noted broadcast evangelist, reportedly asserted, “There is a long-held tradition in our country that church activities are private, and ultimately, the congregants … have the ultimate veto power over the organization. It’s the veto power of shutting their wallet and walking out the door.” Both what counts as a church and what counts as religion are highly relevant questions in our society. Analyzing the assumptions and interests behind various answers to those questions makes the academic study of religion a fascinating venue to study societies. This entry was posted in Faculty Blog, Relevance of Humanities, Religion in Culture and tagged Church, Classification, IRS, Relevance, Religion, Steven Ramey by Steven Ramey. Bookmark the permalink. I think the question seems to be how sociology should be treated to arrive at a “scientific” definition. Like linguistics defines grammar by common usage while high school teachers apply stricter rules that ostracize certain sociolects, sociology will define religion by observed habits. However, without a foregoing definition or what constitutes religious behavior, this will fail or become circular. With language and linguistics that’s different: language is what allows to transfer knowledge/information from one brain into another (either synchronically, among contemporaries or through time and space, e.g. via written communication). Taking our cues from this, we might ask which is that special need religion fills that humans do not otherwise identify with e.g. science, shallow or serious entertainment (pop culture vs. e.g. a Shakespearean drama) and we might have to take refuge to a negative definition of religion after stripping it of all that it is NOT. Still that’s more than the IRS’ criteria currently allow for. 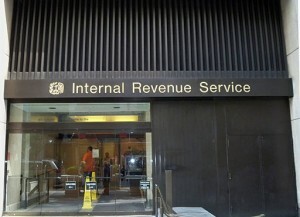 However, the IRS has an interest in fiscal gain. It is probably not the best way to let a party with monetary interests to judge religion.